This week I am ALL ABOUT REPORT CARDS, which in my district are five pages long for kindergarten. How long are yours? Share in comments! 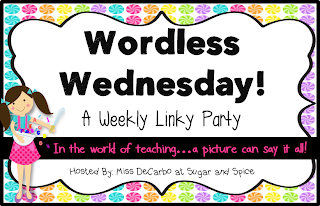 Back to Sugar and Spice for Wordless Wednesday and more great stuff. Thanks, Christina! Yes, I understand long report cards. Ours are so long that I don't even think parents look through all the pages to get to the comments! Wow! 5 pages. Ours are still 2 pages in grade 3, but we just switched to a standards-based report card. 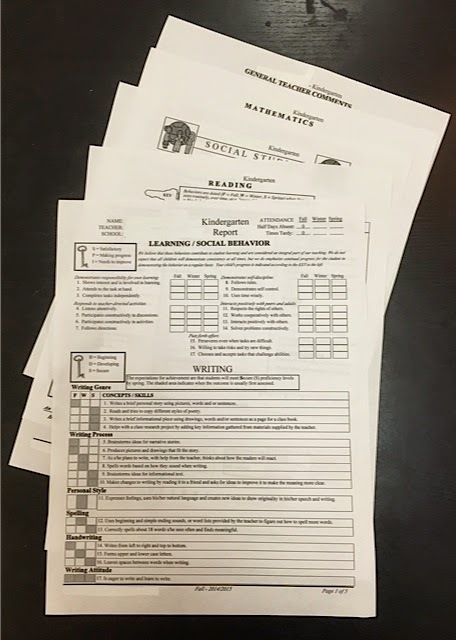 I need to do report cards in a couple of weeks, and I feel like I'm not sure where to start! It's a big switch. Oooh My, 5 pages. Our's is 1 page front/back, with CCSS. I am working on them this week and we have conferences next. Kudos to you for getting all those pages done. Ours are one page front/back, CCSS based in 2nd. In previous years our K cards were multiple pages, but never 5! Kudos to you! !